The newly finished Lake Dillon Amphitheater is one of the most popular weekend destinations for all of Summit County. From Friday through Sunday in the summer, this lakefront venue hosts a number of great concerts. The ambiance alone is enough of a reason to stop by, even without attending an event. This open air theater delivers panoramic views of the Tenmile & Gore Range mountains above the deep blue Dillon Reservoir. 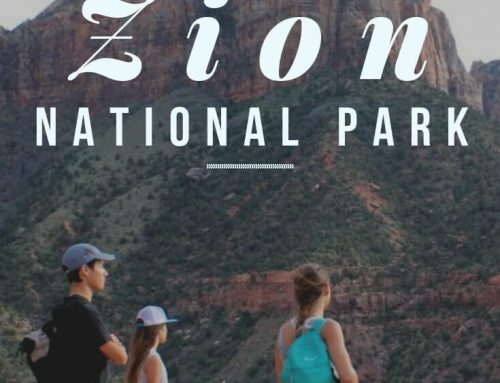 This easy hike is incredibly rewarding and is a perfect thing to do if you have a short 2-3 hours on your hands. This hike is beautiful at all times of the year but winter is especially magical with the snow covered peaks and trees. The trailhead is only a 5 minute drive from Silverthorne (get directions here). Right at the trailhead there is trail junction to go right or left. While you can choose to head right and hike it as an out and back (2.6 miles roundtrip), I highly recommend making a loop out of it by heading left first on the Oro Trail and returning via the right trail, Tenderfoot Mountain Trail (3 miles roundtrip). Keystone may be known for its winter riding, but they also bring fun festivities throughout the summer. Keystone presents around 6 festivals over the summer, our favorite being the Beer & Bluegrass festival. Get a taste of 40+ breweries (all of which you can taste by purchasing a $40 unlimited refill cup) whilst enjoying live performances from talented bluegrass bands. 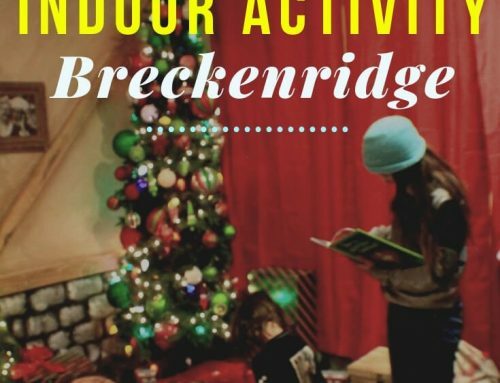 They also offer a variety of events throughout the winter. Red Buffalo Cafe provides a rustic vibe and fantastic coffee. On a cold, blizzardy day, grab a drink and hang out in this warm and cozy cafe. On a beautiful sunny day, stop by for a quick cup of joe before embarking on your adventures for the day. Summit County contains an amazing network of bike paths and Silverthorne is no exception. This beautiful path runs along the blue river and is great to experience on a walk, run, or bike ride. Fall is an especially amazing time to explore the bike path. Willow Falls is a pleasant, moderate hike to a pretty waterfall. This hike takes you through the thick forests of White River National Forest. There are 2 different trailheads to access the falls from. You can hike out and back from either trailhead or you can thru-hike it thanks to the free bus system. The first trailhead is Willowbrook trailhead. From here it’s a longer, but more gradual hike of 6.3 miles roundtrip. You can also start from Buffalo Cabin trailhead up in Wildernest. Wildernest is the neighborhood about 1,000 feet above Silverthorne so you’ll actually be hiking downhill to the falls to start, then ascending on the way back (5 miles roundtrip). Finally, you could hike all downhill by starting at Buffalo Cabin trailhead and finishing at Willowbrook trailhead, then hiking 1 mile downhill to the bus stop and taking the Summit Stage bus back up to Wildernest. Download the Summit Stage app by clicking here. Lake Dillon is one of the many features that make Silverthorne and Summit County so amazing. This large and beautifuly blue reservoir combines all 5 neighborhoods of Summit County and the most amazing part is that there are scenic bike paths connecting ALL 5 towns! The bike paths are extremely well marked with signs so no need to worry about getting lost. I recommend starting your trip from the Blue River bike path at the Red Buffalo Cafe Parking Lot and heading toward Dillon first. After riding. along the waterfront by Dillon Amphitheater follow the path to Keystone. Before reaching Keystone ski resort, you’ll make a right to follow Swan Mountain Road to Frisco and Breckenridge. You can choose to make a slight detour up to Breckenridge by heading left at the other side of the mountain. Finally, the fun part, head downhill all the way through Frisco to Silverthorne. Buffalo, the almost 13er, is one of the most rewarding hikes I’ve ever done. At only 5 miles round trip, the hike takes you to one of the most fantastic views of Summit County. Not only that, but the view from the top also gives you a glimpse into another one of the greatest hikes in the county, Eccles Pass, a wonderland which lies in a plateau between Buffalo Mountain and Red Mountain. Not to be confused with the Tenderfoot Mountain Loop, the Tenderfoot mountain trail runs along the base of Tenderfoot mountain. Theres also an upper trail that runs along the top of Tenderfoot. Unlike most of Summit County, this trail doesn’t have too much elevation gain making it a great mountain biking route. The lower Tenderfoot Trail is the easier of the two. Intermediate to advanced riders would enjoy looping the upper and lower trails by riding Frey Gulch Road on the east side to combine them. See the trail map here or see other epic mountain biking rides nearby below. Gray’s Peak is by far the most hiked 14er in Colorado and some may consider it overrated…but they haven’t hiked the South Ridge. The South Ridge is more exposed and slightly more strenuous hike than the traditional approach but the solitude and views you experience from this side are totally worth it. The South Ridge ascent is a hidden gem so access to this trailhead is, of course, more of an adventure than the crowded side. Get details on how to hike Grays Peak, South Ridge. If you’re in Silverthorne on a bright and sunny day, experience one of the exciting adventures in Silverthorne by downhill mountain biking in at Keystone Resort. Keystone has lift serviced, groomed downhill trails in a variety of difficulties. Beginner to Intermediate riders will enjoy the flowy green trail, Let it Ride and more advanced rider will get stoked by riding the wooden berms of black diamond trail, Paid in Full. See Keystone downhill mountain biking map by clicking here. Find current MTB lift ticket prices by clicking here. Just past local favorite ski resort, A-Basin, is one of the most stunning mountain passes you’ll ever see. There are endless adventures to be had up on Loveland Pass no matter the season. In the summertime you can hike some amazing 13ers like Grizzly Peak or Mount Sniktau. In the wintertime, Loveland Pass is a prime snowshoeing and backcountry skiing/riding location for locals. See related blog for more details on backcountry riding snowboarding. Loveland Pass is also an incredible night photography spot. The coolest part about Peak 1 is its proximity to everything. 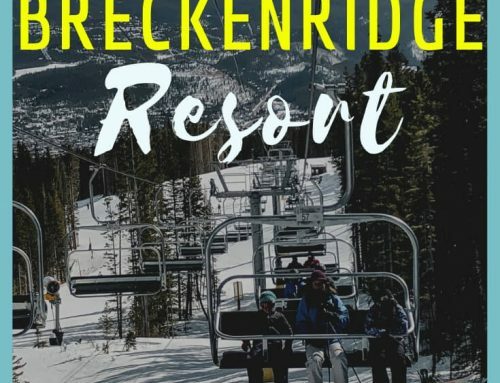 Though technically in Frisco, Silverthorne’s neighboring town, you have quick access to all the adventures in Silverthorne, Keystone, Breckenridge, Copper Mountain and more. Peak 1 is also a scenic and peaceful campground making it great for a relaxing camping trip. You could stay at this campground for a long time without ever having to get in a car. This campground sits right next to the bike path that connects you to all 5 towns and it’s only a 15 minute bike ride to Whole Foods and other grocery stores. Ptarmigan Peak is one of Silverthorne’s most popular hikes. This trek take you to the top of the huge mountain east of downtown Silverthorne. At almost 12 miles roundtrip, this hike isn’t for the feint of heart but the valley views you get at the top are priceless. 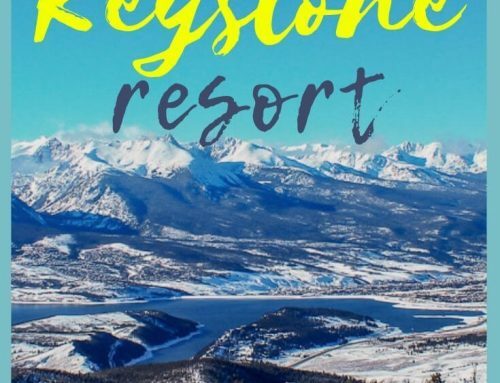 Along Swan Mountain Road, the highway that connects Keystone with Breckenridge, lies one of the most stunning spots near Silverthorne, Sapphire Point Overlook. This provides an amazing view of Breck’s iconic Tenmile Range along with Lake Dillon below. Sapphire Point is reached via a short .3 mile jaunt from a clearly marked parking lot about halfway along Swan Mountain road. Eccles Pass is easily one of the most stunning hikes in the world and the best part is, it’s a complete hidden gem. This backcountry campsite is not easy to reach as it lies in the valley just below Buffalo and Red Mountain. 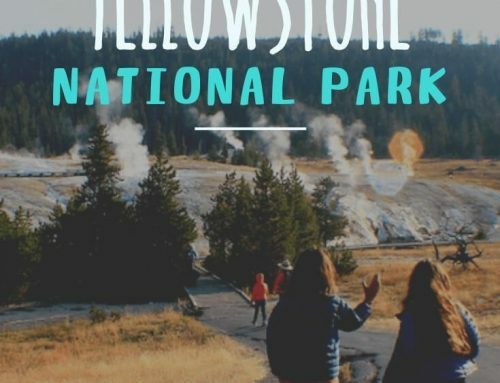 This meadowy wonderland can be reached via Silverthorne, Frisco, or Vail and all require steep and strenuous treks to get there but the peace and beauty you’ll experience while camping here will be worth it. White River National Forest is one of the most underrated wilderness areas in the US. This national forest holds dozens of epic adventures one of the best being the free camping along the forest roads. There are many different forest roads to discover but one of the best roads for camping is road 1350 on the way to Rock Creek Trailhead. This road can be especially beautiful in fall, usually the first 2-3 weeks of September. There aren’t many options when it comes to breweries in Silverthorne. On the bright side, Angry James is so good that it’s not really a problem. Angry James has a very open and inviting space. There is also a great outdoor seating area in the summertime. It’s family friendly and has a variety of board games to play. Fall is an extra special time to visit Silverthorne and the surrounding area. In fact, hundreds of people from Denver flock to Silverthorne every year for its incredible leaf peeping, but be warned, fall doesn’t last long. Fall usually only last 2 weeks sometime between the first and third week of September so as soon as the leaves turn, get out there and enjoy the fall colors. There are dozens of amazing hikes to enjoy in fall. See our related blog below for our top picks. Not only does the Dillon farmers market provide amazing food, but it’s also in a scenic location right along the waterfront of the lake. The Dillon farmers market, which lies in Silverthorne’s neighboring town, has a variety of fresh produce, bakeries, cuisines, and other artisans. The farmers market is held every Friday from 9:00 am to 2:00 pm from mid-June to mid-September along Lodgepole Street. This is a perfect activity for when the weather is too foul to get out and explore. This small little theater produces high quality plays from comedies to dramas and the small intimate setting makes for a very rich experience. You feel as if you are apart of the act yourself. Rivers run affluently though summit County but none are as quiet as secluded and magical as the Blue River in Silverthorne. The small and very vivid Blue River is a prime fly fishing and trout fishing spot year round. Don’t know how to fish? Get started with a fly fishing lesson. Vail Pass is absolutely one of the most stunning scenic drives in the world. Whether you’re driving it on a sunny summer day, in the peak of colors, or along snow covered peaks in the winter, it’s a most do activity from Silverthorne. Right before you reach the summit there is an exit for Vail rest area. Exit here and instead of heading left into the rest area, head straight up the dirt road to Shrine Pass. Shrine Pass is a dirt road but is drivable by almost any vehicle and the national forest area makes for epic free camping. A short few miles in there is a trailhead for Shrine Ridge. I highly recommend this 4 mile hike which takes you to a summit with 360 degree views of the surrounding Gore Range.